Topics dealing with the social media genre. 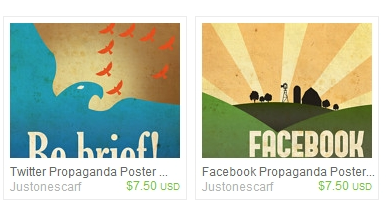 Aaron Wood, aka Justonescarf on Etsy, has some pretty cool social media propaganda posters for sale. The link points to the FOX News Twitter feed that shows the half-dozen or so tweets saying that President Obama had been killed. Now, what do I do with sensational tweets? Verify! I checked Google News and found this – The Associated Press: Hacking on Fox News Twitter reports Obamas death. Tada! Mystery solved. Sensational tweets placed in the Recycle Bin. Today is Social Media Day. Enjoy. Be social. Use a social network. Tweetup (meet your Twitter followers IRL). Empire Avenue is about Connecting! via Empire Avenue : Getting Past ‘The Game’. Airlines are quickly learning that social media tools, particularly Twitter, can act as an excellent customer service channel. 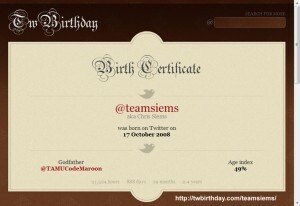 Source: Twitter is handy tool for airline passengers – CNN.com. Empire Avenue let’s you “invest” in people by buy fictitious stock in them on a website; specifically their social media identity. The most social media presence one has the higher their stock price. The more investors one has the higher their stock price. 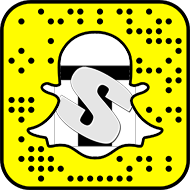 Users can buy and sell stock in other users or non-users via their social media identities like Twitter or Facebook. Blogs are also consider social media currency and they can contribute to a user’s value. Hence I’m writing this blog to have my blog accepted as part of my social currency. This is it! Foursquare has once again created a special badge and logo for 4sqday! We’re super proud to unveil the new 4sqday 2011 logo and confirm that users will be able to unlock a 4sqday badge by checking in on April 16th, 2011! Details on exactly how to unlock the badge has yet to be revealed, but stay tuned! via Announcing the official foursquare badge, logo and T-shirt! « Foursquare Day. There are several sites aligning themselves with this day/event, but nothing from foursquare officially. That makes me think this it is a grass-root movement. It’s cool though. According to their tweet today it appears McDonalds is planning something for 4/16/11. One place to find information is http://4sqday.com/ or @4sqday. 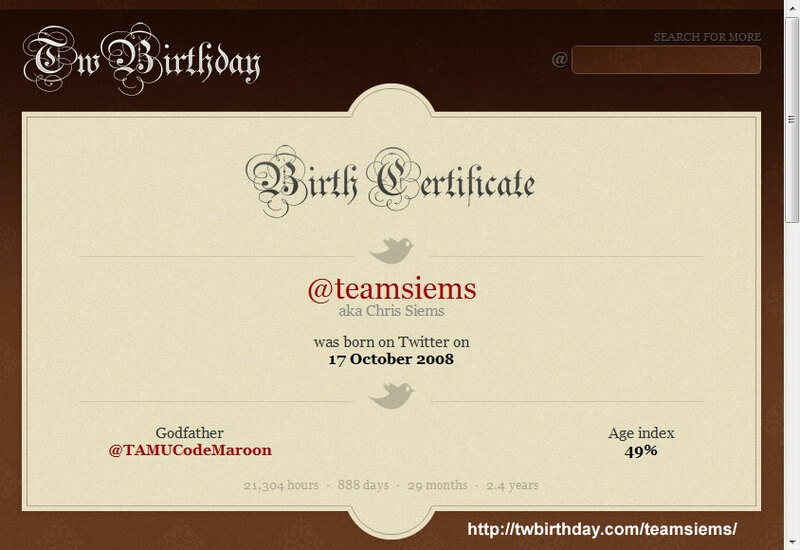 Five years ago this week, a small team of people started working on a prototype of the service that we now know as Twitter. 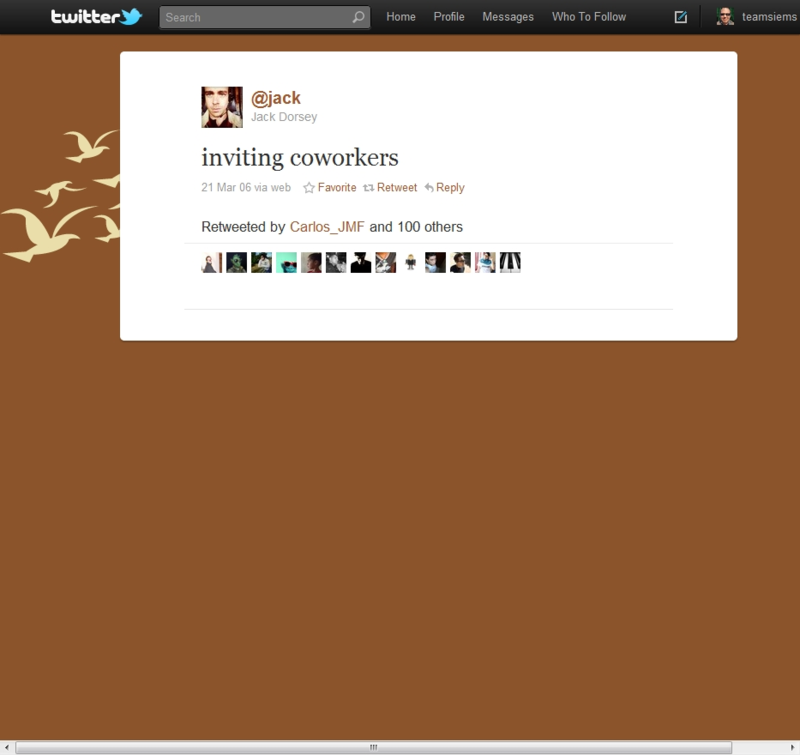 On March 21, 2006, Jack Dorsey (@jack) sent the first Tweet. via Twitter Blog: #numbers. 3 years, 2 months and 1 day. The time it took from the first Tweet to the billionth Tweet. 140 million. The average number of Tweets people sent per day, in the last month. 6,939. Current TPS record, set 4 seconds after midnight in Japan on New Year’s Day. 572,000. Number of new accounts created on March 12, 2011. 460,000. Average number of new accounts per day over the last month. 182%. Increase in number of mobile users over the past year. 8. 29. 130. 350. 400. Number of Twitter employees in Jan 2008, Jan 2009, Jan 2010, Jan 2011 and today.